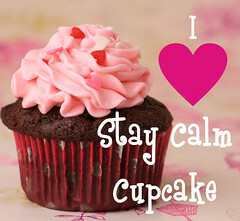 moist chocolate cake | Stay Calm, Have A Cupcake! It’s official – the holiday season has arrived! Chick-fil-a is serving their seasonal peppermint mocha milkshake, Starbucks has their pumpkin coffees and minty latte’s, even McDonalds has a mint chocolate McFlurry. 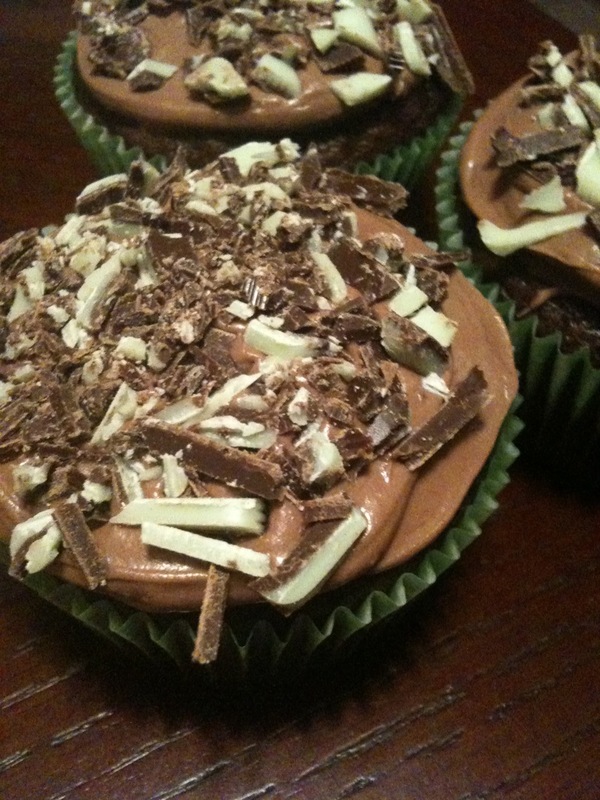 It became quite obvious that it was time for me to share my recipe for a delicious mint chocolate cupcake! If this doesn’t put you in a holiday mood, then I don’t know what will! I love this recipe because it is easy and fool proof. Even the little one’s can help! Beat the butter with an electric mixer until it is soft, then add sugar. Beat about 3 minutes. Add the eggs, one at a time beating until they are well combined. Add 1/3 of the dry ingredients to the butter and sugar and beat it just to combine. Add the liquids (milk & vanilla), scrape down bowl and beat to combine. Fill cupcake liners and bake for 20-22 minutes. Frost with Mint Buttercream and Top with Andes Mint Candy Pieces. For an easy decoration technique, spread your frosting over the cupcake with a knife. 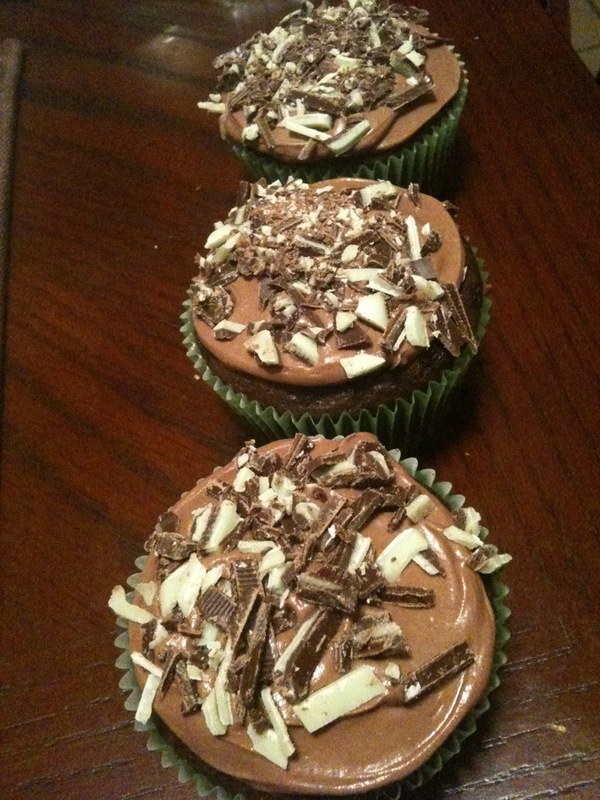 Dip each cupcake in chopped up pieces of Andes Mint Chocolate. Voila! Super Easy but still looks great! Smooth frosting with a knife over each cupcake. Dip them in Ande's Mints and Enjoy! 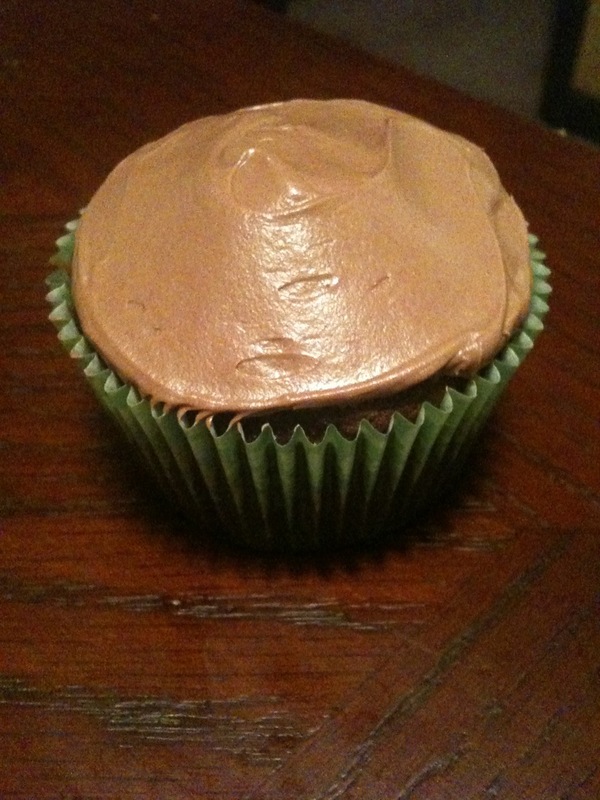 If you prefer Chocolate to Mint, use my Chocolate Mousse Frosting recipe. It goes great with the Andes Mints!